It’s Thrifty Thursday! – My AMAZING shopping trip! I have been so excited to get #ThriftyThursday back on track and this week super inspired me to share with you all. Maybe I need to get out more but when you come to realise that you have saved nearly £40 on one weeks food shopping trip, excited is one thing I am allowed to be! First me and my Mr have been keeping our eyes open for coupons, in magazines, newspapers and printable’s from the wonderful world wide web. Google took a real beating. 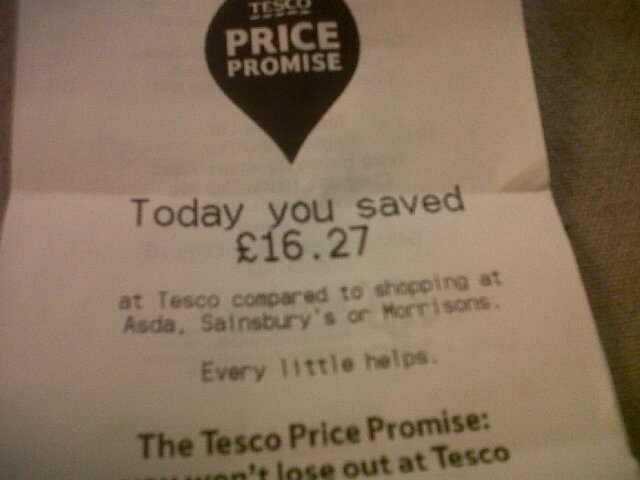 Maybe I watched too much Extreme Couponing on SKY at the weekend, but who cares it certainly paid off! I started by writing a full shopping list of everything we needed. From Bubble bath down to small cupboard condiments. Then we went through all the coupons we had found and took out the ones which would benefit us most by using this week. 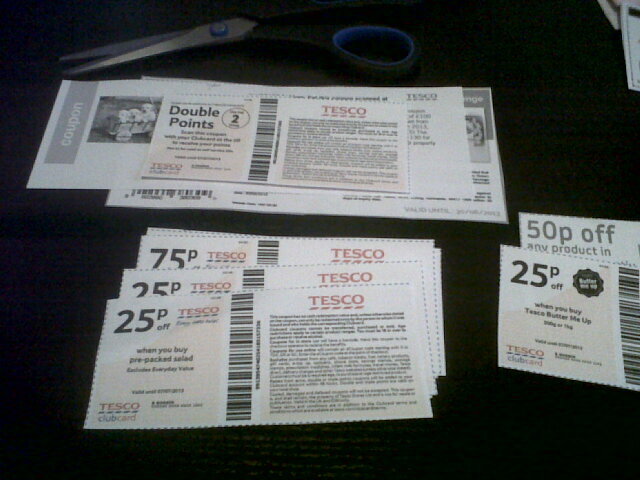 We also had some Tesco Clubcard vouchers and double points coupons so they were a must to take along with us too. Get me, we are now so organised, our coupons have their own special plastic wallet, anyway back on track…..armed with coupons and my list…. Tesco’s we descended up on. We went straight after I finished work on Monday evening so it was about 7.30pm by time we grabbed our trolley. Now after what I am about to reveal, I shall now be going that time every Monday, just in case this happens every week……..”what happens?” I hear you ask! 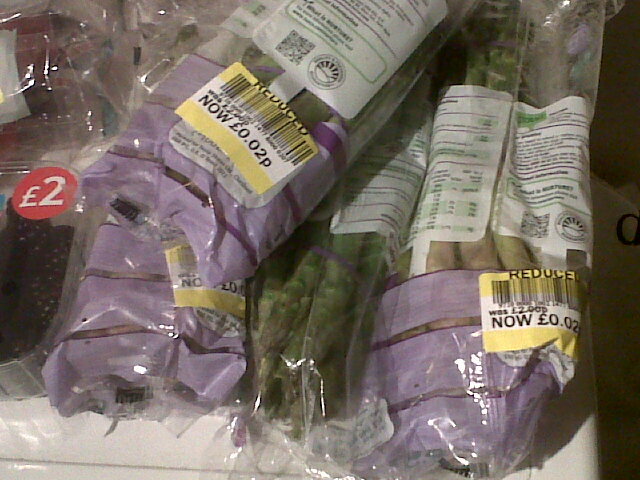 well as we approached the Veggie aisle the section we always check first is the reduced area…WOWSA!!!! lots of yummy goodies all priced from 1p to 3p……. I could not believe my eyes, I may even of given a little squeal, it was a quiet one so think I got away with it. Ok let us do some maths, NO don’t leave, I will not bore you, I promise! 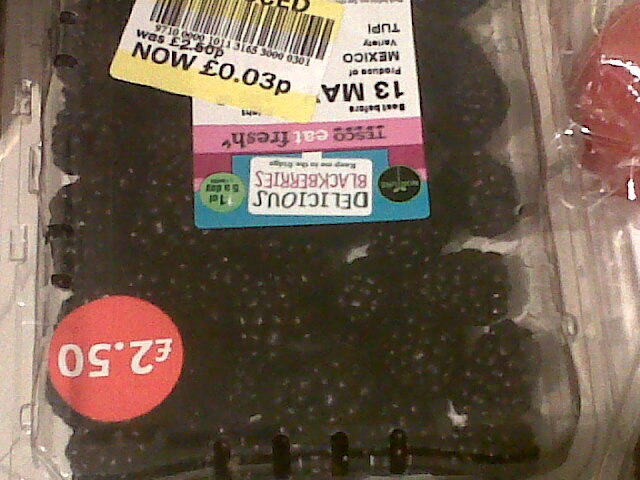 Full price would of been = £19.75!!!!!! eeek now see why I was super excited. Amazing! I was super careful, as it would of been easy just to buy a trolley load of these lovely reduced goodies but we had some self control and just took what we would use. The tomatoes we had that night with our tea. The grapes I took off their stalk and popped in the freezer to use as a healthier snack option. 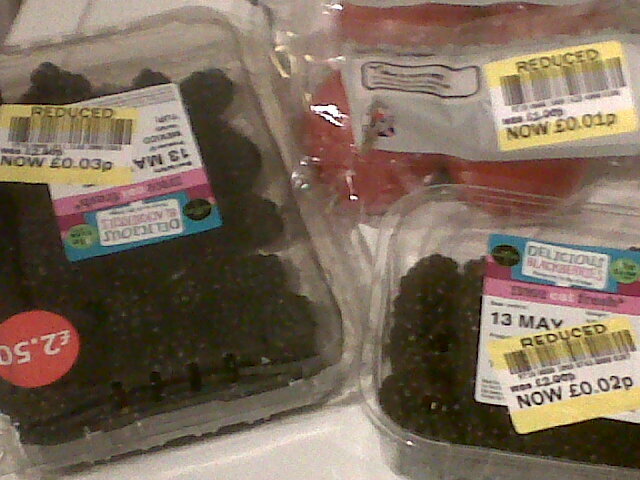 The blackberries we only finished on Wednesday so they lasted really well and the asparagus I have frozen. I shall be posting my Asparagus freezing tips in a separate post soon. 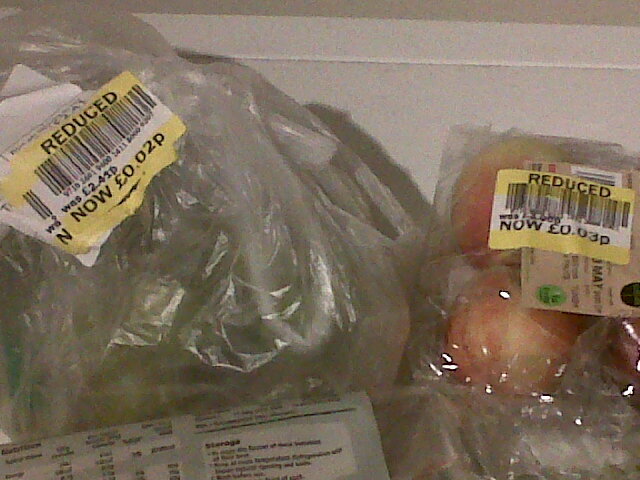 If I add the above saved total to what we saved from all the reduced goodies it brings us to the total SAVING of……. There was also a bag of chestnut mushrooms reduced to 1p, when the cashier weighed them they came up as 0p so we got them FREE! Do your research before shopping, check coupon sites, check what is on offer and where. You now know where you shall find me on a Monday evening around 7.30pm……lurking around the veggie section…..in hope of another bargain busting experience! 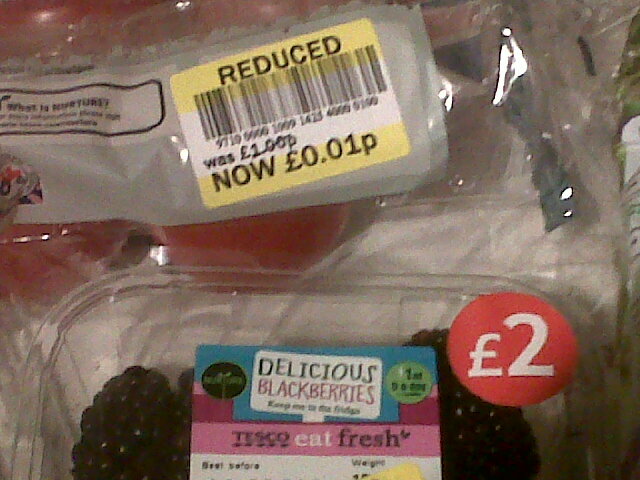 What has been your best reduced bargain buys in the supermarket? Excellent trip! I love getting deals.